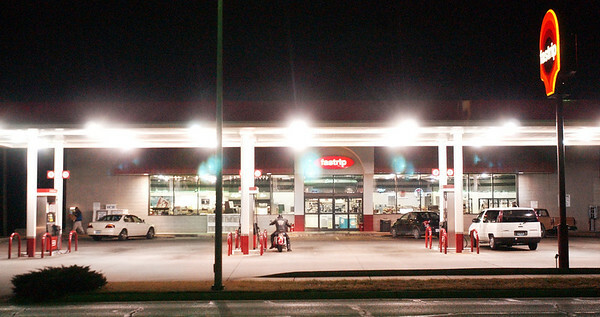 The Fastrip on North Main Street in downtown Joplin as seen Thursday night, Jan. 12, 2006. Convenience store designers have improved how they light stores and are using large windows to allow more visibility of the activities inside. Section: News Story: Jeff L.